We literally overheard this announcement standing around in the wings prior to the Tulsa show. We didn’t receive confirmation on this concert’s “open to ALL” notification until two weeks ago. The info below was confirmed to us this morning. We do our best to publish accurate information. The last thing we want to do is announce a show then suddenly fans find out (after airfare purchases) that they can’t even buy tickets. Our intention was to wait until the band spoke on it officially/in print. There was a brief tweet, so here’s the official Travel Fan notice that yes, the Charity Ball 2015 hosted by the Foreign Correspondents’ Club in Hong Kong is open to all and will feature Tears for Fears. There are two options it seems. Tables and individual seats. You can use this link to get in touch with the producers/organisers of the event to better understand the seating choices. All ticket purchases include dinner and drinks. 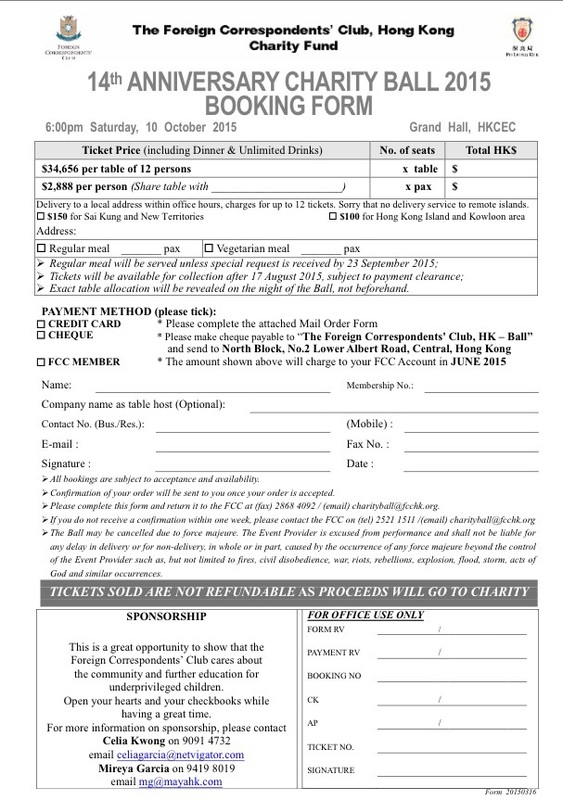 If plan to go, you may want to contact The FCC by emailing charityball at fcchk dot org . 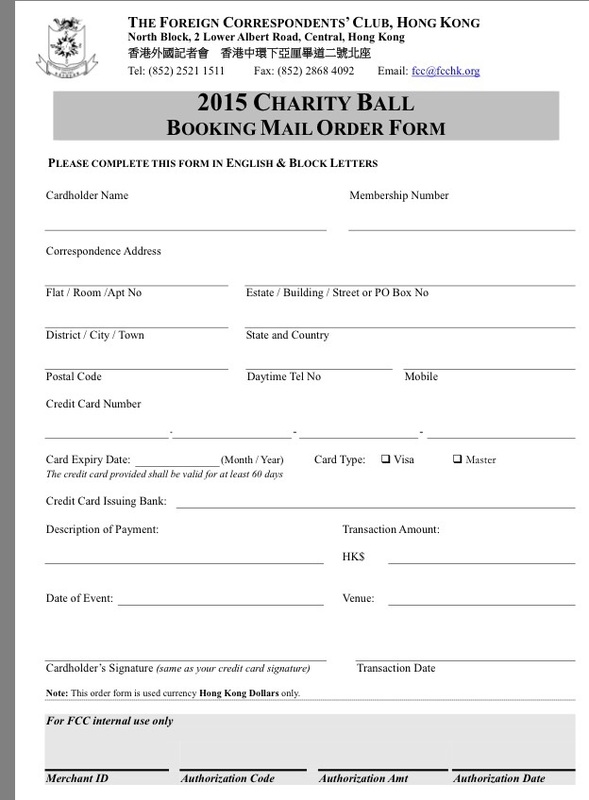 If you are buying a table, making a purchase of any sort or donating, please fill out the forms and send them in. Use the link to help you navigate your purchase and reservation. If you have trouble downloading the form, email us so we can send it to you directly. If you need other options, please feel free to contact us directly. Room prices vary but both listed are 5 star with comfortable pricing – about the same prices as we paid in New Jersey for a large suite. You’ll want to be comfortable there after that long flight. Delta has flights with only 1 stop (Seattle or Los Angeles layover) starting around $1670.00. Taxis and Uber are both available in Hong Kong. Yes, you flew all the way there but that does not guarantee you will meet the band. If it’s that crucial, please notify the club of your circumstance to see if there are any options. That’s all we’ve got for now. Please let us know if you need more info. Leave a message in the comments or email us directly via the Tears for Fears and Kooks Facebook page. Take some time to read about The Foreign Correspondent’s Club and all that they do. We’ll be listing them on the 2015/2016 Givings as well. 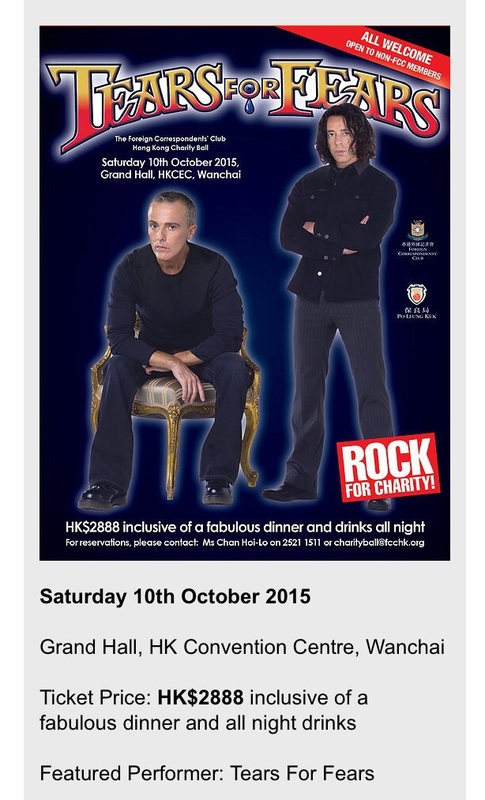 Posted on 03/10/2015 10/10/2015 by International Business and Cultural ExchangePosted in Welcome to the Tears for Fears Fan Travel BlogTagged Tears for Fears Hong Kong. Thanks for your detailed info, Andye.